The budgeting cash envelope budgeting system is a refinement of the All Cash Budgeting Method. In other words, instead of paying for everything with cash, the basic philosophy of the budgeting cash envelope system is pay bills using a checking account, but to use cash to pay for everything else. Here is an illustration of how it works. What this illustration shows is that you used checks to pay all of your bills, and then you converted the remaining $1,000 of your paycheck in cash. So what are you going to do with all of that cash? How do you properly manage it? That’s where the envelope system comes in. What it means is splitting up your cash and putting it in separate envelopes, with each envelope representing the amount of money you can spend within a certain time period or on a certain category of expense. And how do you decide how to split up your cash? Of course it should be according to your needs, preferences, goals and personality. 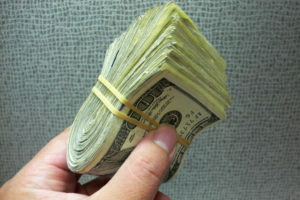 It’s also vitally important that you split up your cash in a way that works best for you, with “working best” being defined as the system you’re most likely to follow to live within your means (which in this example means not spending more than your $1,000 of cash until your next paycheck). With that flexibility in mind, there are 4 main schools of thought on how to split up your cash when applying the budgeting cash envelope system. Assuming there were 4 weeks in a month, if you wanted to divide your cash into time periods then you would put $250 in 4 separate envelopes labeled “Week 1” through “Week 4”. This budgeting cash envelope system would then use the $250 for week 1 to make all of your day-to-day purchase: groceries, gas, entertainment, etc. If you elect to use this “Weekly Method” then you need to understand that spending needs for different weeks could be quite different. For example, one week might be heavy on groceries, and another might be heavy on gas or other expenses. Either way, if you maintain your discipline then the idea is that the week-to-week highs and the lows should average out. But what if you happen to have a week that requires heavy spending for one reason or another? While not ideal, you would either drastically cut your spending or, if necessary, you would borrow cash from the next week’s envelope to make it through. On the flip side, what if you had a week with exceptionally light spending? 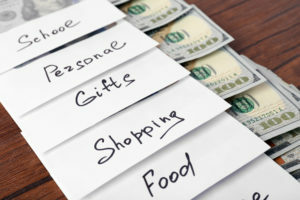 Rather than go out and blow the money, I would suggest putting in an additional envelope marked “Extra.” That way you’ll have an additional source of cash to draw from if another week’s spending runs high. Finally, if you end the month with any cash remaining then you’re in the enviable position of having extra money that you can either save or spend. 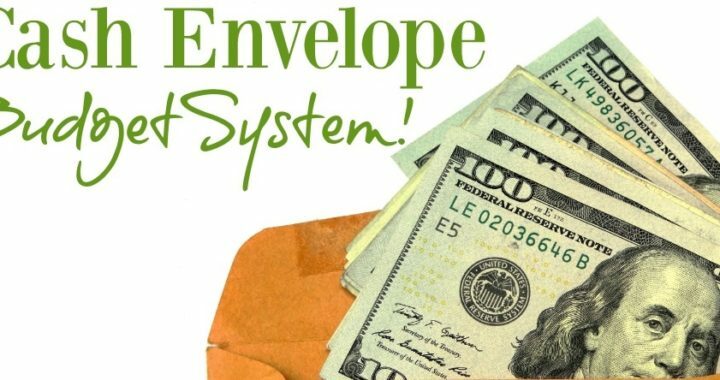 Another budgeting cash envelope system is an alternative to the Weekly Method of organizing your cash envelopes, you could use the “Category Method.” You do this by creating separate envelopes for groceries, gas, fun/entertainment, savings and any other categories that make sense to you. As you go through the month you draw cash from the appropriate envelope depending on what you’re spending money on. If run out of money in a particular envelope then ideally you shouldn’t spend any more money on that category. However, if it’s urgent (you need gas so that you can get to work) then you can take some cash from another envelope where you might have some extra (such as groceries, but now you might have to forego the chips and ice cream you wanted). 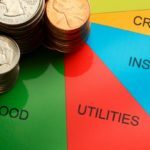 The upside of the Category Method is that it’s easier to predict how much money you’ll spend on various categories of expenses than it is to figure out how much you’ll spend in a given week. For example, it’s much easier to estimate how much cash you’ll need for gas in total than it is to determine how much cash you might need for week 3 as opposed to week 4. On the other hand, the Category Method can be difficult to apply in practice. To illustrate, say you’re going to the movies, but you’ve got to get some gas on the way, and you’re going to pick up some milk on the way home. How are you going to handle that in the context of the Category Method? 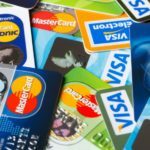 Are you going to take your “Gas,” “Groceries,” and “Fun” envelops with you, and then pay for each with separate money? Or are you going to take what you estimate what you need from each envelope and carry a combined amount of cash. Do you know what category the cash that might already in your purse or wallet belongs to? In which envelope(s) will you put any change you might have left over, or will it just stay in your purse or wallet? 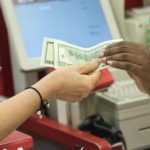 In summary, while the Category Method is conceptually sound, it can be difficult to develop and perfect a system that will keep your cash in various categories segregated. 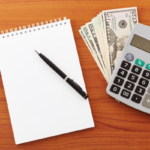 If this budgeting cash envelope system doesn’t sound right for you we have the lump sum method. 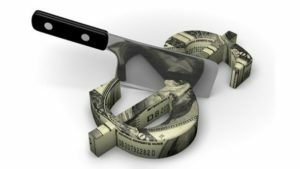 You might not want all of cash to be henpecked into specific categories of spending or artificially short time-frames. In other words, forget all this envelope stuff. The philosophy behind the Lump Sum Method is that you just want to know flat out how much money you have $800, how long it needs to last 1 month, and then be left alone to manage it as needed. The appeal of the Lump Sum Method is that it conveys a sense of freedom “Wow, I have $1,000 of cash to spend however I want.”. 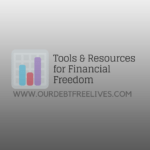 On the other hand, the Lump Sum can convey a false sense of freedom that can get you into financial trouble. For example, let’s say that even if you’re very, very careful with your cash, essentially $700 will be needed over the course of the month for the very basics, such as food and gas. If you lose sight of that and go out and the beginning of the month and blow $400 on “fun” just because you started out the month with big wad of cash, you’ll end up running out of money before the end of the month…even if you do nothing else fun or that you want to do (because you’ll only have $600 left, or $1,000 less $400, when you really need $700 at a bare minimum to cover real necessities such as groceries and transportation)! In summary, my observation is that the Lump Sum Method can work very well with people that are highly disciplined with their money. By “highly disciplined” I mean “stand at attention for 3 hours in the rain without moving a muscle” type of disciplined. This budgeting cash envelop system is by far the most discipline of all methods that have been covered. On the other hand, if you have a single impulsive bone in your body when it comes to purchases “Hey, I wasn’t really looking to buy anything, but that seems like a good deal!”, then I would proceed very carefully before adopting the Lump Sum Method. In using the budgeting cash envelope system there’s no reason why you have to exclusively use any one of the above methods. Instead, you can combine them any way you see fit according preferences, personality and goals. For example, in thinking about how to split up your $1,000 you might decide to put $600 in an envelope marked “Groceries & Gas” and then divide the remaining $400 in 4 separate envelopes of $100 for weeks 1-4. That way you have money set aside that’s dedicated to necessities, and you have an extra $100 each week to take care of everything else. Again, that’s just an example; there’s no end to the combinations you can come up with in using the budgeting cash envelope system to meet your own customized needs and circumstances. Posted in Budgeting and tagged Budget, Budget Method, Budgeting, Budgeting Methods.